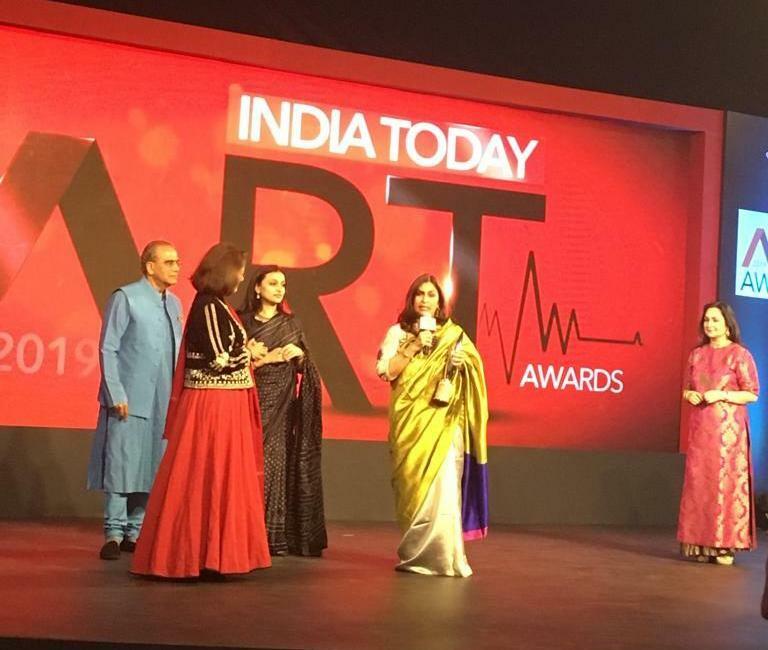 Pink City’s multi-arts center, Jawahar Kala Kendra (JKK) adds another feather to its hat by winning the prestigious India Today Art Award in the ‘Public Art Initiative’ category. The award was received by Director General, JKK, Ms. Pooja Sood and Additional Director General (Technical), JKK, Ms. Anuradha Singh and was given by Mr. Aroon Purie, Ms. Rekha Purie and Ms. Madhu Neotia at an Award Ceremony held in Kolkata on Thursday (13 December) evening. The award is a mark of applaud and appreciation for reinventing a space designed in 1993 by the late great Charles Correa, that was subsequently consigned to oblivion, and has now become a hub for museum quality exhibitions, cutting across a range of genres-from new media, popular culture and photography to architecture, painting and design — with an outreach that has seen it becoming part of Jaipur’s increasingly rich and diverse cultural life. On the occasion, Director General, JKK, Ms. Pooja Sood said it is indeed a matter of great pride and honour for JKK to receive this award. We are proud of creating a public space of an international standard. In fact, it will also serve as a benchmark for other such organizations in India. 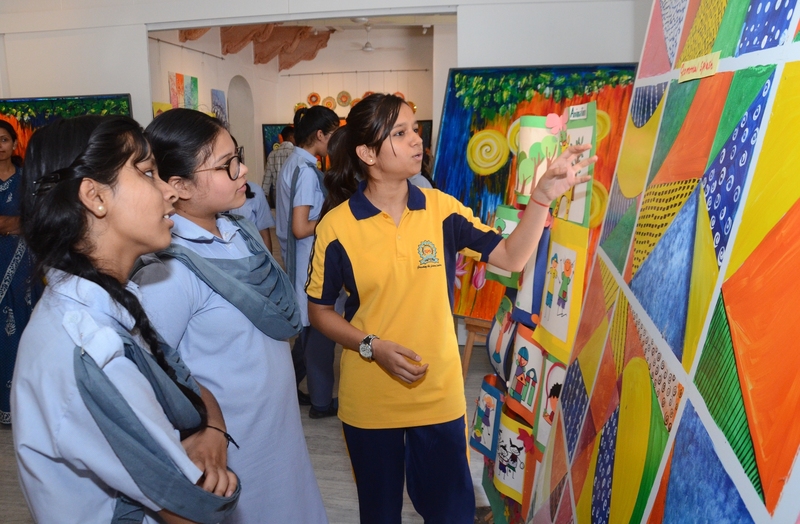 It is to be noted that the India Today Art Awards were started in 2016 to recognize individual excellence in the arts through an independent and credible process. 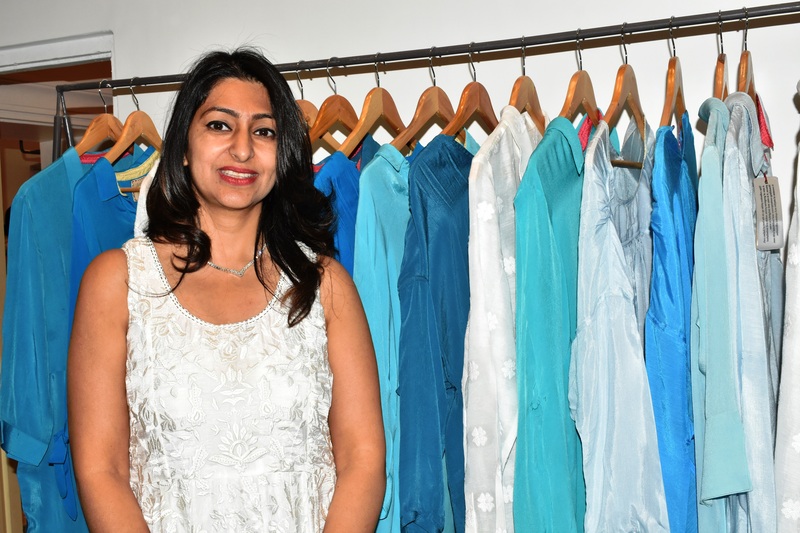 The members of the jury included Aroon Purie, Aman Nath, Madhu Neotia, Nada Raza, Rekha Purie, Radhika Chopra Anandan, Pinky Reddy, Priya Paul and Amin Jaffer.